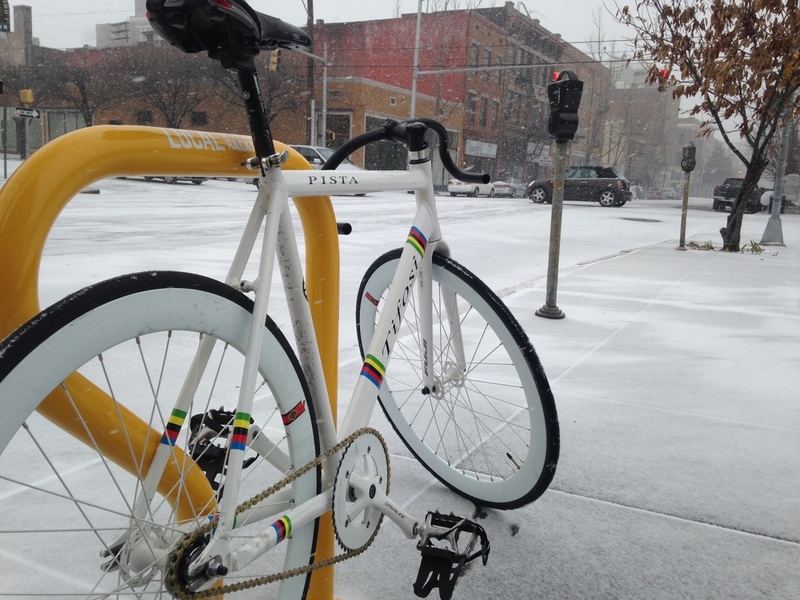 Just because it's getting a little colder out doesn't mean bike season is coming to a close. We're in Birmingham, and as a city of the deep south we don't have to put up with all the snow and harsh weather (aside from the occasional snowpocalypse) that cyclists up north deal with. Dress appropriately and there's no reason you can't keep riding through these colder months. The fact that you no longer get drenched in sweat every time you go outside is an added bonus for those who brave the cooler temps. In case you were wondering, our Thursday night rides will continue! The Trample must go on! On particularly cold nights we may ride a little less and socialize a little more - inside of course. So if you've yet to join us for a group ride be sure to do so soon! As always we have bikes for rent and affordable lights for those who prefer not to get run over. This is a casual social ride and a fun way to explore the streets of Birmingham, so if you've ever felt intimidated by the traffic this is a fantastic introduction to city riding (strength in numbers). Heads up! Shop hours have changed. We will now be closing at 5pm except for Thursday night; the Trample still departs at 6:30. In addition expect to see a few winter riding accessories now being carried at the shop. While we can't carry everything we would like, we can order whatever you need from one of our wholesalers and usually have it the very next day. Come see us for your winter riding needs! And be on the lookout for our new Redemptive Cycles winter riding jackets. Stay warm and rep your favorite local bike shop at the same time! Don't forget about our winter sale, all bikes are 15% off, even State bikes. Hard to beat the deals we got going at RC this holiday season!